General Dynamics Ordnance and Tactical Systems – Canada (GD-OTS Canada) LAP plant makes it possible to meet ammunition load, assemble and pack requests. 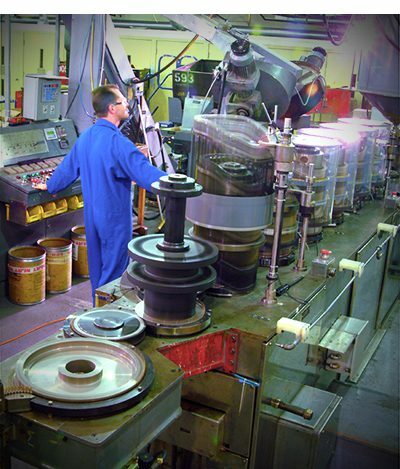 With the tooling and production equipment needed to manufacture approximately 150 different military products ranging from 5.56mm small caliber ammunition to 155mm large caliber ammunition, GD-OTS Canada facilities can handle major production contracts, yet still deliver short runs in the best possible turnaround times. GD-OTS Canada is one of a few companies in North America with this unique capability of manufacturing diversified calibers of military ammunition and propellant at one location. General Dynamics Ordnance and Tactical Systems Canada is equipped with its own machine shops and prototype laboratories. Its broad technology base in energetic materials includes cutting-edge high-explosive casting and Insensitive Munition Filled (IM). GD-OTS Canada also relies on its own state-of-the-art facilities, from a pilot plant to production and testing equipment including digital X-ray units, radar-tracking systems and high-speed cameras. Production is further supported by well-equipped and fully instrumented ballistic, metrology, chemical and metallurgical laboratories capable of complete material and product evaluation. In further recognition of the company’s commitment to quality, GD-OTS Canada and its ballistic testing facilities is the official Canadian National NATO Test Centre for small-calibre ammunition. As prime contractor and ammunition system integrator, GD-OTS Canada is designated by the Canadian government as the centre of excellence for the maintenance and further development of an industrial defence capability in production, technical know-how and research relating to ammunition products. GD-OTS Canada is a member of the North American Technology Industrial Base (NTIB).